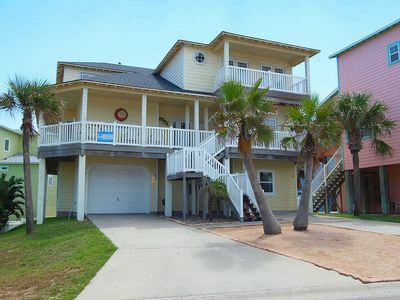 Spacious WATERFRONT house with private POOL, boat dock, and near the beach ! 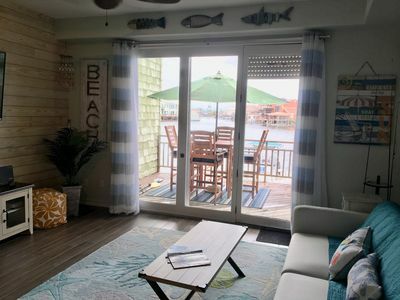 The Marlin House is this summer's must vacation to spot! 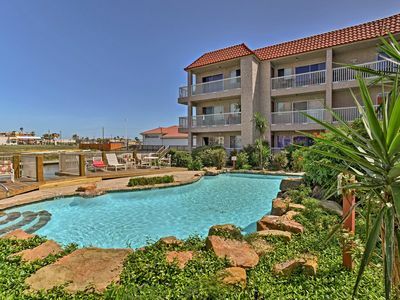 Situated on Lake Padre off of Packery Channel, it is just a half mile from stunning beaches, two miles from schlitterbahn and nine miles from Padre Island National Seashore. 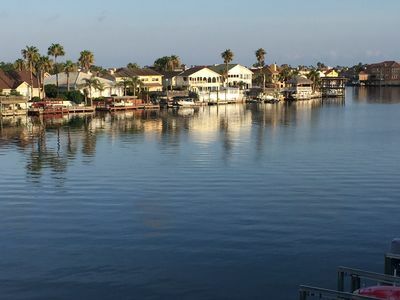 The backyard boat canal leads directly to Packery Channel which will take you to the bay waters or the Gulf. 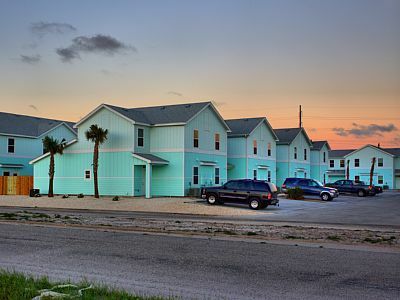 The Marlin House is 2,500 square feet of vacation heaven and offers something to please everyone in your party.. From the moment you walk in- we assure you that you will not want to leave!! The gallery style entry invites you into the spacious living, dining, and kitchen area downstairs that is bright and open. 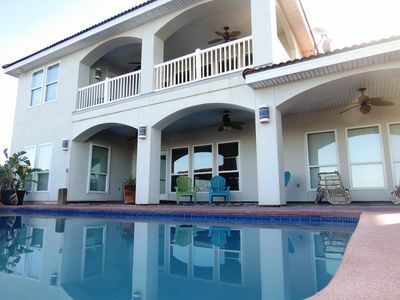 From there enjoy a 180 degree view of the backyard with pool, backyard bar, boat lifts, and deck. Enjoy your breakfast from the dining room nook that also features a full bar so food preparations don't hamper the drinking. The open concept kitchen has granite counters, stainless appliances, and everything you need to prepare family meals. Designer details abound throughout the house including pastel colors, soft, supple fabrics, and vintage coastal finishes. 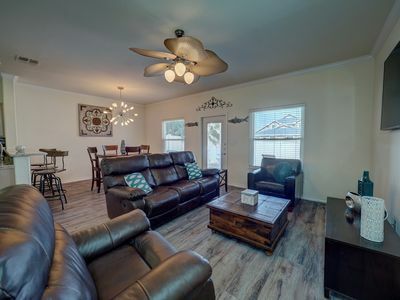 The family room also features a queen sized couch bed for additional sleeping.The master bedroom offers a king bed, private bathroom and walk in closet. Another bathroom is located on the main floor with immediate pool access for showering off after taking a dip in the boat canal or pool. 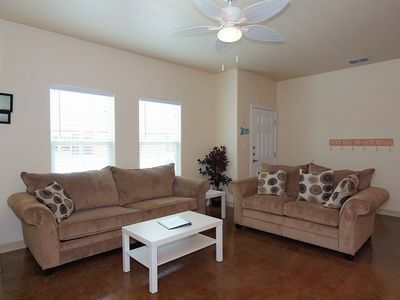 Upstairs you will find two spacious bedrooms. Both rooms feature a queen and and bunk bed with a double and twin. Both room also have their own bathrooms. One rooms even looks out over the backyard and pool. 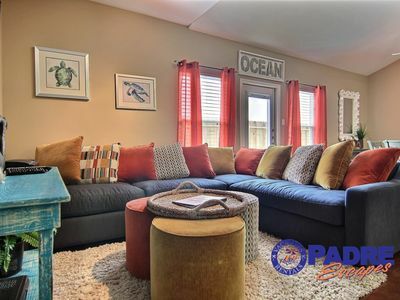 As if the rooms were not enough, upstairs also features a fun family room with a wet bar and a sunny deck that offers views of the pool, dock, deck, and bay. 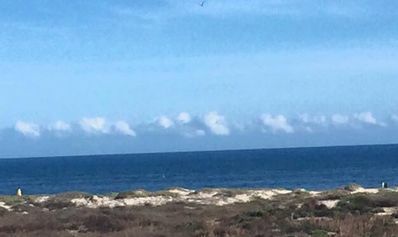 The Marlin House is a short walk (.7 of a mile) to Packery Beach and the sea wall. Don't feel like walking to be in the water?- that's ok, stay at home and enjoy the clear pool. Additionally, you will find smart TVs both upstairs and downstairs. Wifi is accessible throughout the property. 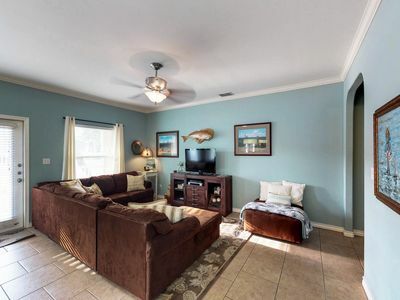 This home is perfect for two families with children or your favorite group of friends. Come visit us at the Cane Harbor Estates and make memories that will last a lifetime. We rented this house in the summer of 2015 and then loved it so much that we moved into it permanently. This is a rare occasion to rent this gem now, as we will be selling it at the close of the summer. The photos of the bedrooms are outdated, but will be updated. The current sleeping situations are accurate in the description above. No events or Parties. No animals. Trout House. 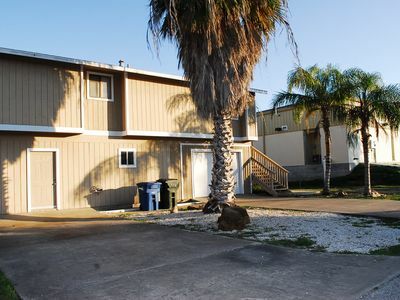 Only a Short Walk to Bluffs Landing Marina! 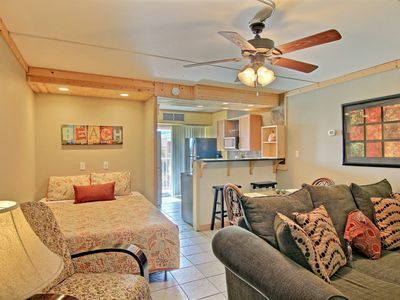 Perfect place for a family wanting to stay together & be close to the Beach! 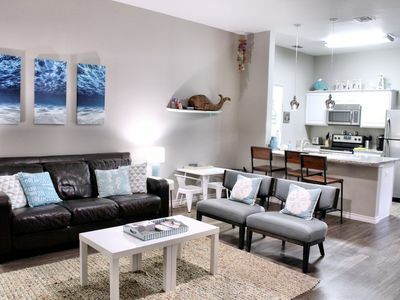 All-New 5 Bedroom Townhouse that can accommodate the whole family. 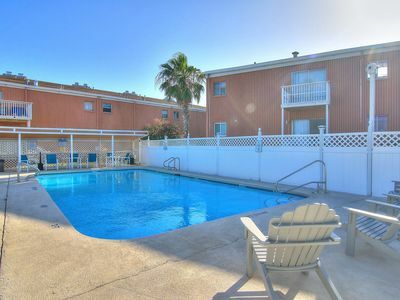 Come enjoy this Sunny Spot with a Cool Pool! EXCLUSIVE NEMO CAY RESORT, HEATED POOL AND NEAR THE BEACH!!! NEWLY REMODELED! Salty Kisses at Beach Club is Just a Short Walk to the Beach! Fabulous 6 bedroom 4 bath home in wonderful Sand Point Circle!! Corner Unit! 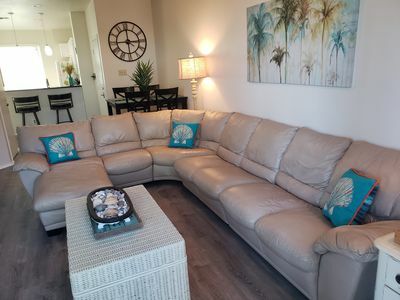 Beautiful, New 1 Bedroom, Sleeps 6, Close to the Beach, Great Pool! 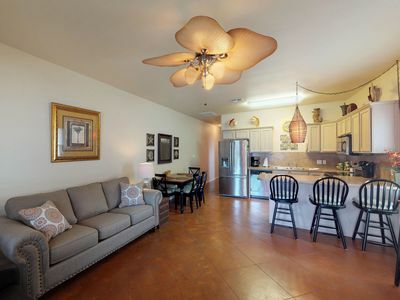 Spacious family friendly condo w/ indoor & outdoor pools, plus more! 1 dog ok! 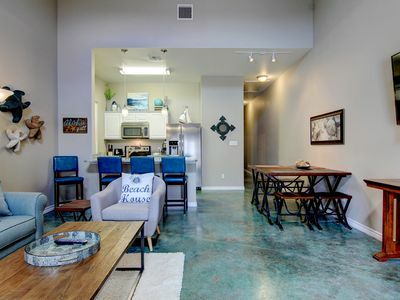 Dog-friendly studio with shared pools, close to popular attractions! Charming dog-friendly home w/plenty of room, a shared pool, & prime location! 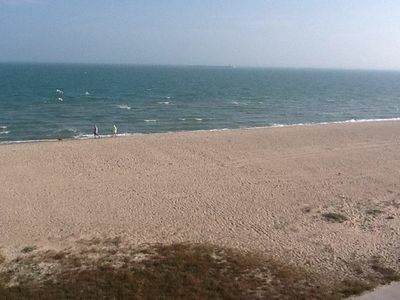 Corpus Christi Condo w/ Pool - 5 Minutes to Beach! 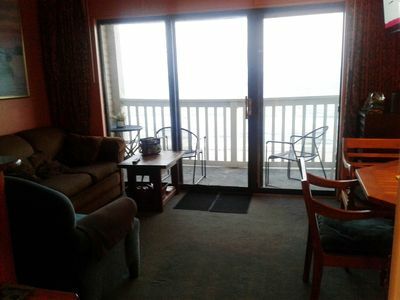 EARLY SPRING SPECIAL-$119 nightly - Treat Yourself to a Coastal Getaway!